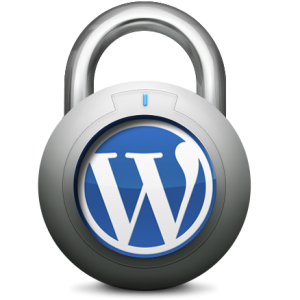 WordPress Security – Things You Should Do! Not all web hosting providers are created equal and, in fact, hosting vulnerabilities account for a huge percentage of WordPress sites being hacked. Primax Studio has secure hosting options for your WordPress Site. Don’t worry about your hosting, we have you covered! Primax Studio installs Wordfence on every WordPress site that we install! The Wordfence WordPress security plugin continuously prevents, patrols and protects your WordPress websites against today’s ultra-advanced cyber attacks, hacks and online security threats. To see more about what the Wordfence WordPress security plugin includes, activate one of our five defense categories, and then select a related featured below for even more information. Free, Premium and Customer Favorite features are clearly indicated. If something goes wrong with your site you need a backup to get you back in action. Primax Studio install BackWPUp on every WordPress site that we develop. We recommend backing your Database up daily and your entire site weekly. We also recommend keeping off-site backups just in case your server company might experience a natural disaster. According to this infographic, around 8% of hacked WordPress websites are down to weak passwords. If your WordPress administrator password is anything like ‘letmein’, ‘abc123’, or ‘password’ (all way more common than you might think! ), you need to change it to something secure as soon as possible. For a password that’s easy to remember but very hard to crack, I recommend coming up with a good password recipe. If you’re feeling lazy, you can also use a password manager like LastPass to remember all your passwords for you. If you use this method, make sure your master password is nice and strong. Try LastPass’s password Generator. If you install the browser plugin you’ll be able to do this in real-time when setting up accounts. Here’s a great article about how to set up a secure password on Cloudwards. Earlier this year, there was a spate of brute-force attacks launched at WordPress websites across the web, consisting of repeated login attempts using the username ‘admin’, combined with a bunch of common passwords. If you use “admin” as your username, and your password isn’t strong enough (see #3), then your site is very vulnerable to a malicious attack. It’s strongly recommended that you change your username to something less obvious. Until version 3.0, installing WordPress automatically created a user with “admin” as the username. This was updated in version 3.0 so you can now choose your own username. Many people still use “admin” as it’s become the standard, and it’s easy to remember. Some web hosts also use auto-install scripts that still set up an ‘admin’ username by default. Fixing this is simply a case of creating a new administrator account for yourself using a different username, logging in as that new user and deleting the original “admin” account. This is less than ideal, for the same reasons explained above for the “admin” username, so it’s a good idea to hide this by changing the user_nicename entry in your database. The trouble is, if a hacker managed to gain access to your admin panel, they could also edit your files that way, and execute whatever code they wanted to. We’re confident in the quality and security of our free themes. As a general rule though, it’s better to avoid using free themes, if possible, especially if they aren’t built by a reputable developer. The main reason for this is that free themes can often contain things like base64 encoding, which may be used to sneakily insert spam links into your site, or other malicious code that can cause all sorts of problems, as shown in a experiment, where 8 out of 10 sites reviewed offered free themes containing base64 code. If you really need to use a free theme, you should only use those developed by trusted theme companies, or those available on the official WordPress.org theme repository. https://wordpress.org/plugins/sucuri-scanner/ – scans your site for malware etc. Allows you to “harden” your site. https://wordpress.org/plugins/wordfence/ – full-featured security plugin. https://wordpress.org/plugins/better-wp-security/ – offers a wide range of security features. https://wordpress.org/plugins/bulletproof-security/ – protects your site via .htaccess. https://wordpress.org/plugins/all-in-one-wp-security-and-firewall/ – adds a firewall to your site. https://wordpress.org/plugins/websitedefender-wordpress-security/ – comprehensive security tool. https://wordpress.org/plugins/exploit-scanner/ – searches your database for any suspicious code. We also recommend Sucuri.net if you are unsure about this topic. Sucuri can help monitor your site, alert you of suspicious activity and even help clean up your site in the case of a malware attack. This may all sound pretty intimidating, especially if you’re a beginner. I’d like to point out that it’s not intended to scare anyone, it’s just important to discuss the topic of security regularly, as we want to make sure you stay one step ahead of the hackers! You don’t have to do everything on this list (although it certainly wouldn’t hurt). Even if you just remove the ‘admin’ username and start using stronger passwords, your site will be that little bit safer. If your WordPress site has been hacked Primax Studio can help remove malware and bring your site back to life.